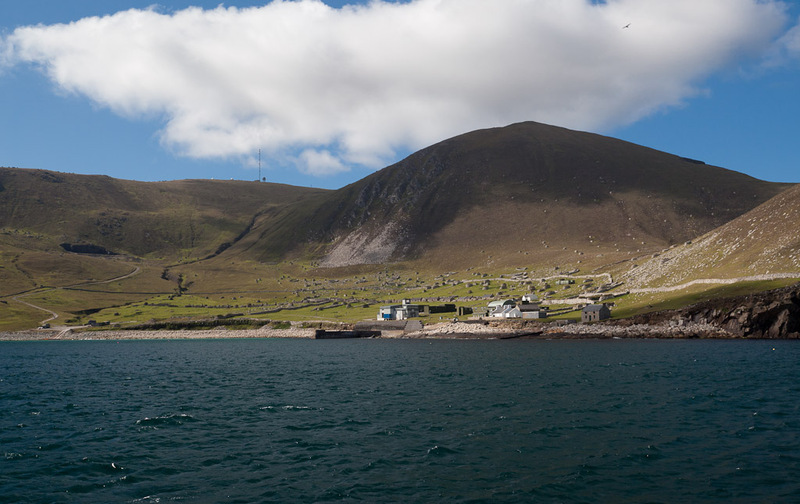 Arrival at Hirta, St Kilda. From Boreray and the Stacs, MV Cuma motored towards Hirta and Soay, which are the two largest islands in the St Kilda archipelago. The next two by size are Boreray and Dun. The cliffs falling from the summit of Connachair (at 430m, the high point on Hirta) are the highest sea cliffs in the British Isles. As Cuma made her way round the east side of Hirta, we caught sight of the jagged outline of Dun. 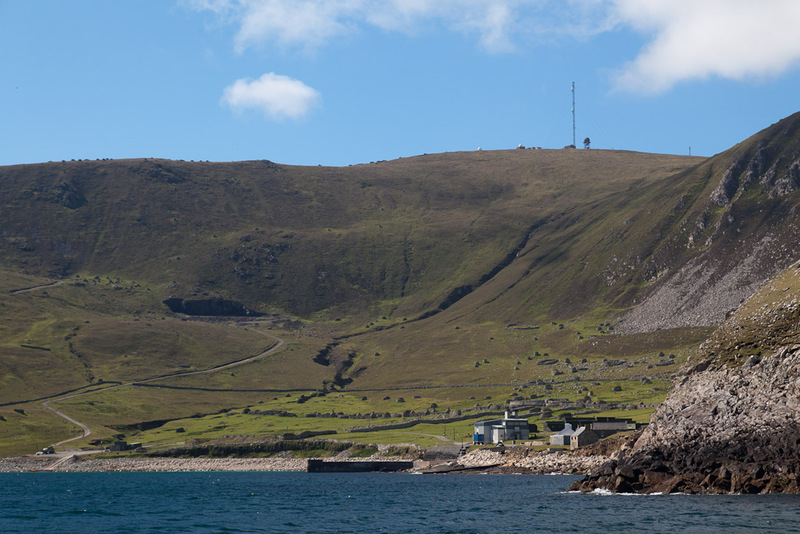 The most easterly point on Hirta is Rubha an Uisge, "point of the water". 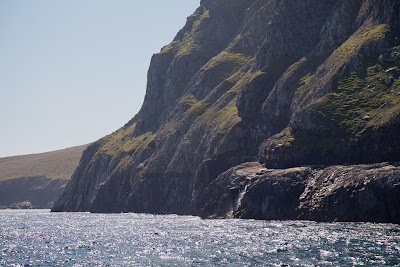 You can see a waterfall tumbling into the sea (after our very wet start to the summer). When we were last here in 2008, there was no fall. 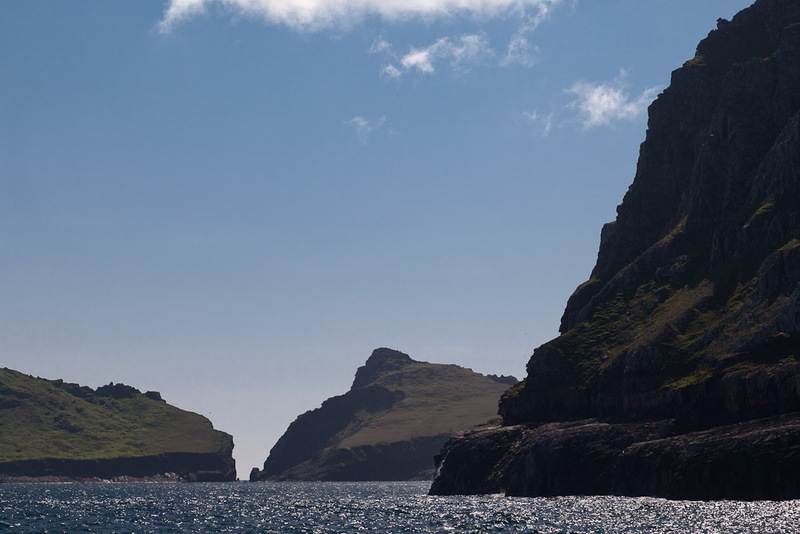 Dun is riddled by caves and tunnels and when approaching from the NE, you can see through its great arch. Dun is separated from Hirta by only a narrow gap. 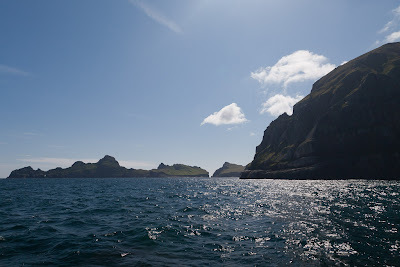 We lined the bows of the Cuma in excitement, to catch our first sight of Village Bay. 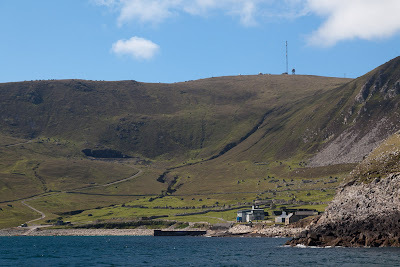 The modern military base, which supports a radar station, is incongruous but does not dominate the scattering of stone built dwellings and storage cleits that rise behind it. ...the alternate cottages from the 1830's and 1860's, which make up the village street. 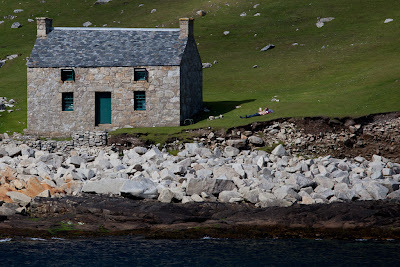 This was the most remote settlement in the British Isles, until it was evacuated in 1930 after thousands of years of habitation. 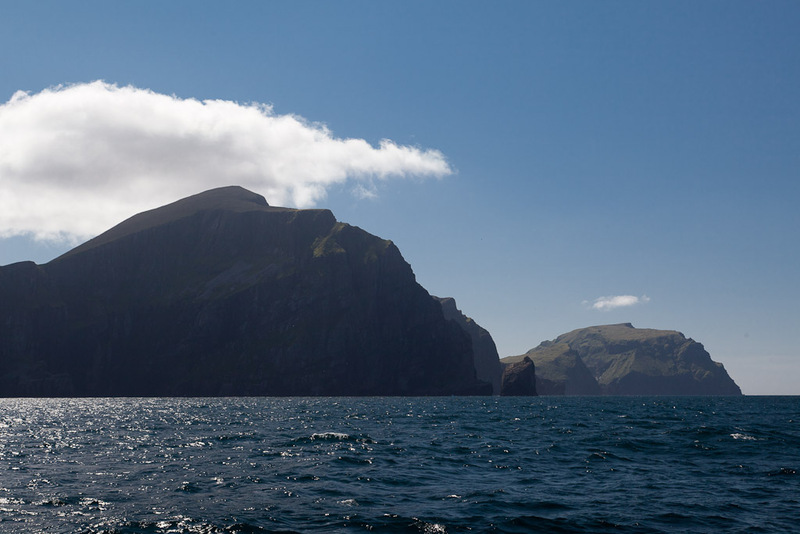 We had arrived on this archipelago of superlatives!